Eating right goes a long way when it comes to a healthy heart. According to the Ministry of Health, Ischaemic Heart Disease accounts for 18.7 per cent of deaths in Singapore in 2010. It is Singapore's number two killer just after cancer. A heart attack occurs when blood flow to part of the heart is blocked causing poor supply of oxygen to the heart muscles. Some people have chest pains when heart attack happens but some people have no symptoms at all. It is important to be aware of the risks of heart attack because most of them are preventable. About.com reported that dietary advice for reducing heart disease risk includes eating a balanced diet with less saturated fats from red meats, more fresh fruits and vegetables, more fish, less sugar, more fiber and for many people, fewer total calories. Health.com reported that a review of 67 studies showed that diets high in soluble fiber, like the kind in steel-cut oats, decrease total and LDL ("bad") cholesterol. 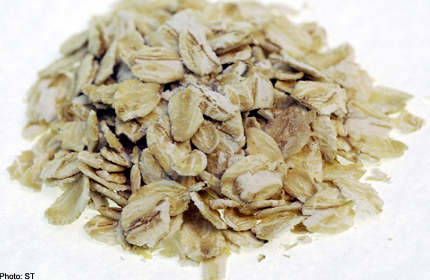 So start your day with a steaming bowl of oats, which are full of omega-3 fatty acids, folate, and potassium. One bowl a day will go a long way in keeping your arteries clear. According to health.learninginfo.com, salmon earned its reputation as a superfood because it is naturally high in omega-3 fatty acids. Omega-3 fatty acid is healthy fat that helps reduce inflammation and keeps your blood flowing easily. It also prevents the build-up of artery-clogging plaques in your heart and brain and reduces the risk of blood clots. These fats work to keep your cholesterol levels healthy. 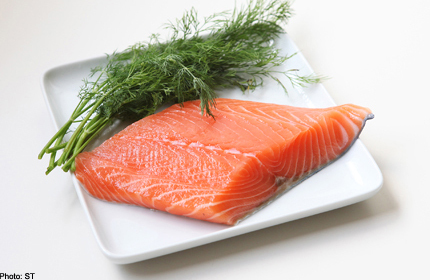 Eat salmon or other oily ocean fish like tuna, sardines or herring at least two times per week. 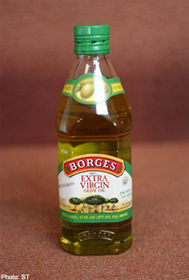 But according to studies done by Norwegian scientists in 2005, in an attempt to cut costs, some fish farmers are feeding their salmon with vegetable-oil instead of fish-oil. They found that heart disease patients who ate the vegetable-oil fed salmon did not show the same cardiovascular improvements as patients who ate fish-oil fed salmon. So if you want the maximum disease prevention benefits of salmon try buying wild-caught salmon instead. Nuts can be a great source of healthy oils, vitamin E and other substances that will help keep cholesterol levels in check. Mayoclinic.com says the type of nut you eat isn't that important, although some nuts have more heart-healthy nutrients and fats than do others. 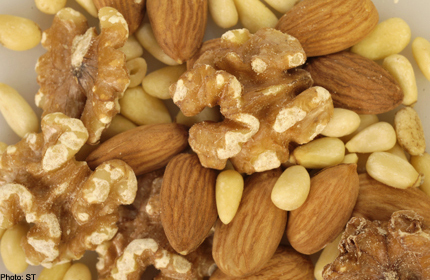 Walnuts, almonds, hazelnuts and almost every other type of nut has a lot of nutrition packed into a tiny package. The best part? They're inexpensive, easy to store and easy to take with you to work. Several studies in Mediterranean countries have shown that the incidence of heart disease is lower than would be expected by blood cholesterol levels which can plausibly be explained by the high amount of olive oil in the diet in the region. Health.com reported that a huge body of research confirms that its monounsaturated fats lower LDL cholesterol and reduce the risk of heart disease. Studies show that extra-virgin olive oil, which contains more antioxidants than more refined olive oil, may offer better protection against heart disease. Extra virgin olive oil contains polyphenols - compounds that work as antioxidants to protect the cells in your body from free radical damage. These can reduce inflammation and may help to prevent some forms of cancer including breast, ovarian and colon cancers. A Finnish study done in 2008 suggests that eating a moderate amount of berries may increase HDL (good) cholesterol and reduce blood pressure. While all fruits and vegetables are high in antioxidants, berries contain particularly high levels of polyphenols and according to a report in the Nutritional review, berries lower inflammation and have a host of other cardiovascular perks. They are chock full of anti-inflammatories, which reduce your risk of heart disease and cancer. Other polyphenol-rich foods include chocolate, tea, and red wine, which also have been linked to lower heart disease risk. According to Health.com, people who ate legumes—like beans and lentils—at least four times a week had a 22 per cent lower risk of heart disease than people who ate them less than once a week. 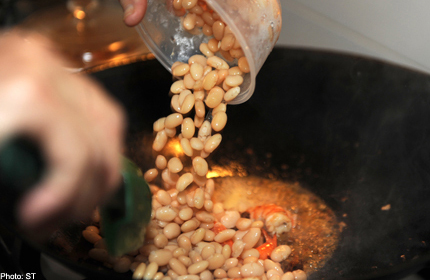 Online reports say that beans, such as Kidney, Pinto, Navy and Black, are naturally low in total fat, contain no saturated fat or cholesterol, and provide important nutrients such as fiber, protein, calcium, iron, folic acid and potassium. Their health benefits are consistent with many existing health claims approved by the US Food and Drug Administration, specifically those related to heart disease and cancer. Studies also suggest eating beans as part of a healthy diet to help manage diabetes and cut the risk of high blood pressure and stroke. 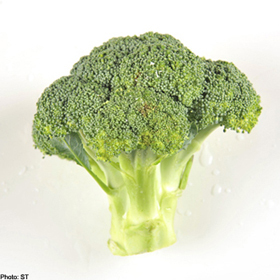 UK researchers said that eating broccoli could reverse the damage done to heart blood vessels by diabetes because the vegetable contains a compound called sulforaphane. They tested sulforaphane the lab and found it increased enzymes that protect heart blood vessels and reduced the molecules that damage them. This vegetable also has anti-inflammatory and detoxifying effects. 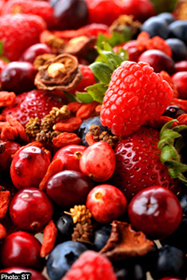 Check out the photos below for 10 superfruits you can try out to keep you healthy.